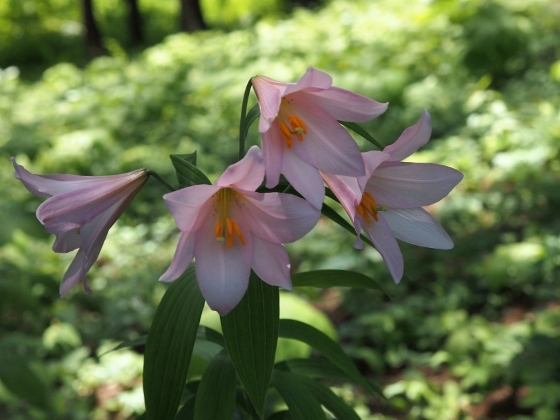 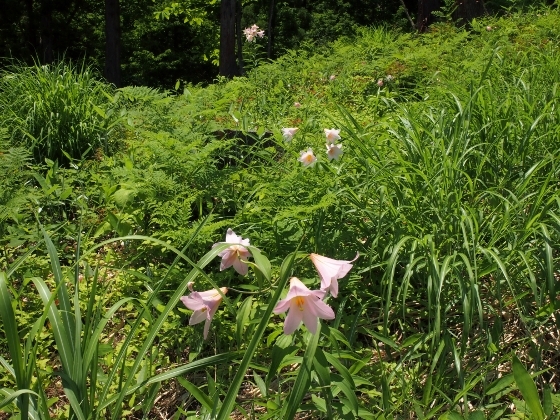 Today I traveled to Tadami Town which was said to be the largest wild habitat of Himesayuri or Lilium rubellum. 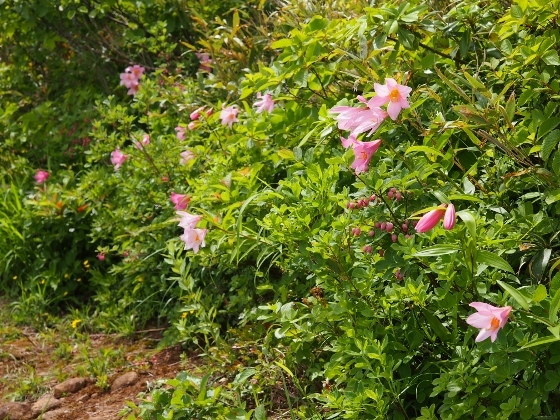 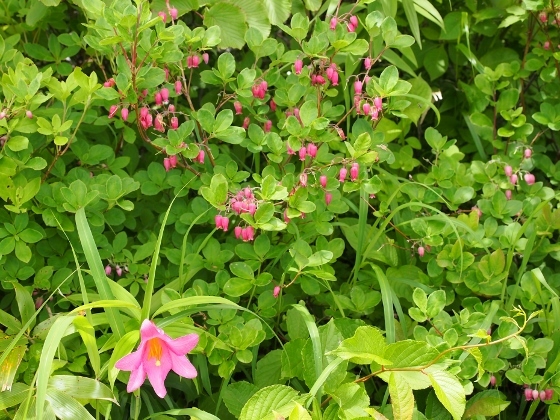 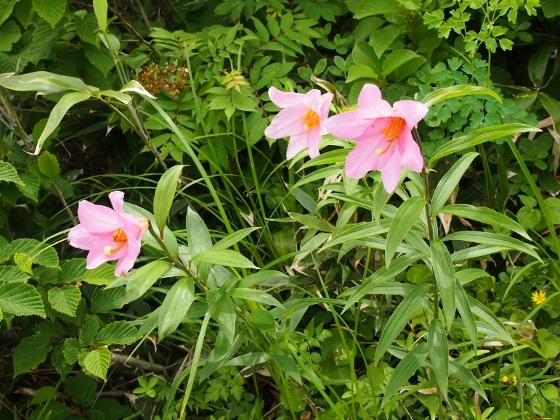 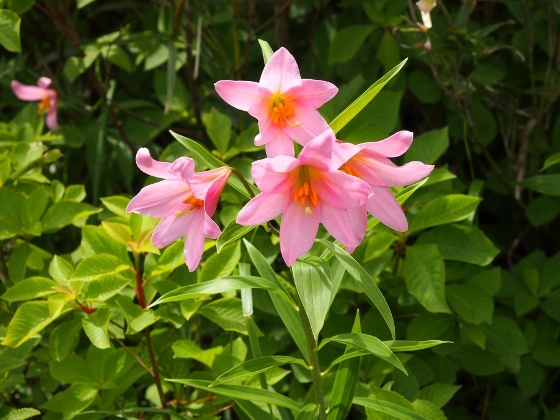 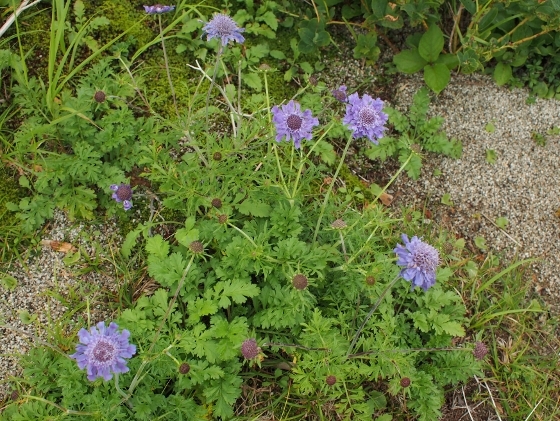 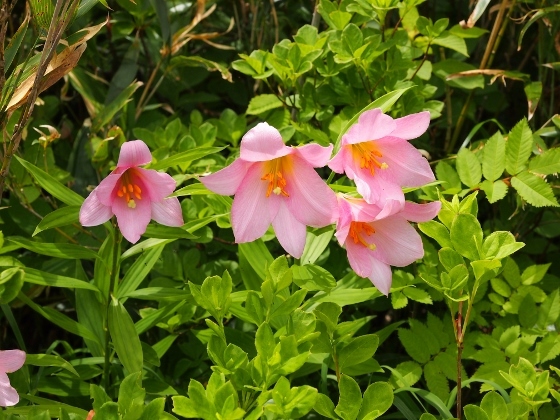 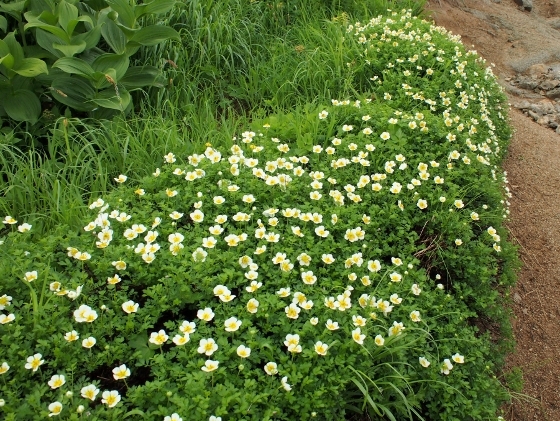 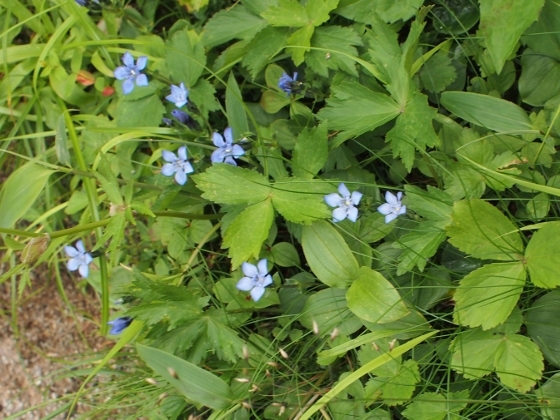 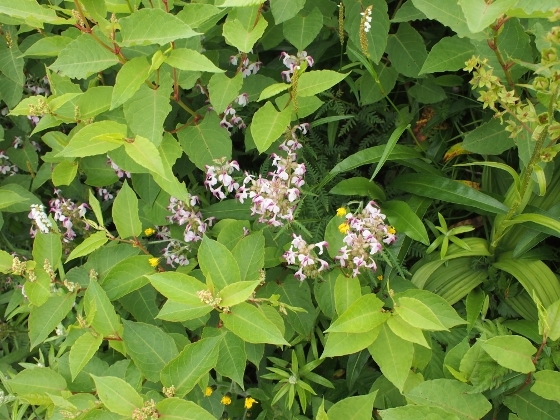 The plant only grows in Aizu region and the neighborhood and is designated as Near Threatened. 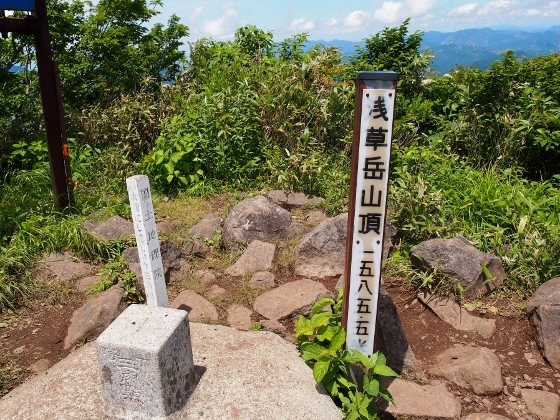 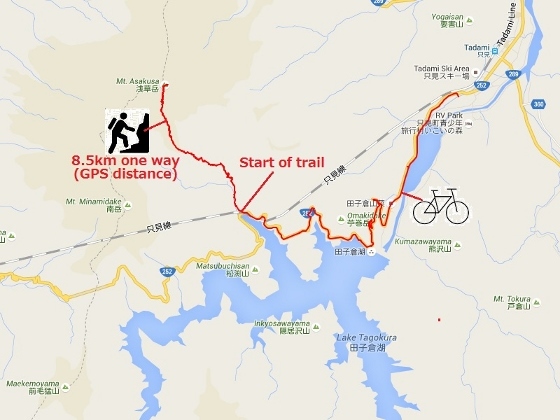 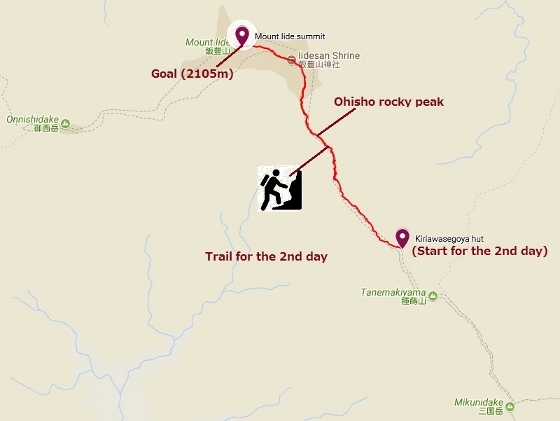 I visited Yuridaira hill which is only 20-minute walk from JR Tadami Station. 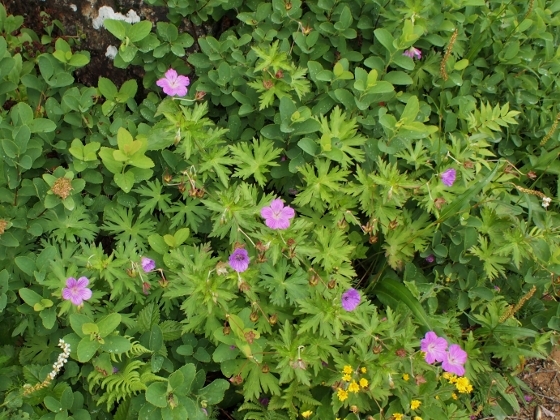 The plant was at its best season today as shown in a photo above. 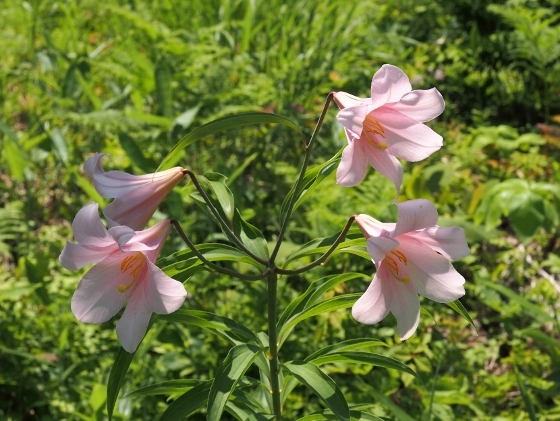 All kinds of flowers have been running earlier and shorter than usual this year and Himesayuri was not an exception. 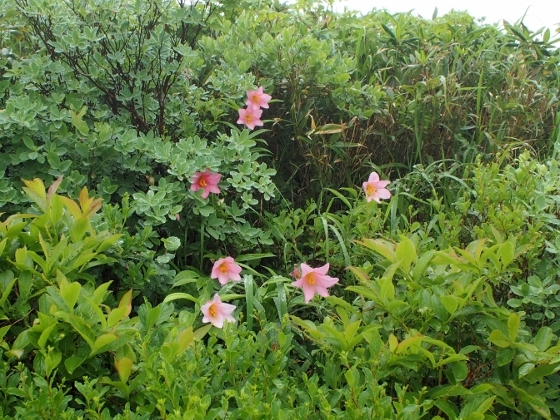 But today it seemed I was at the right place on the right day. 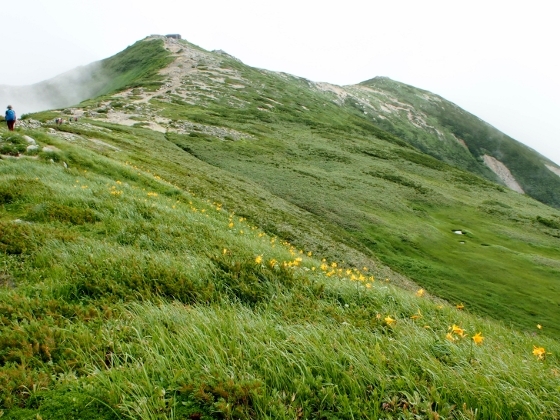 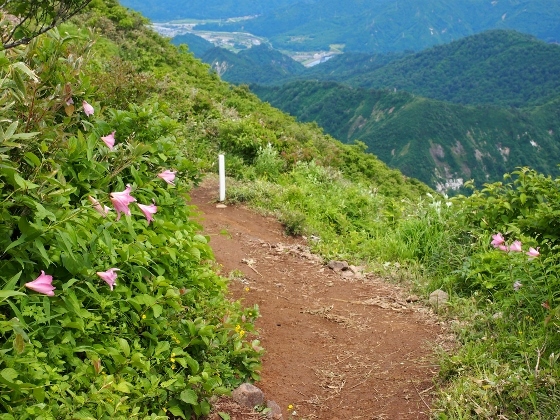 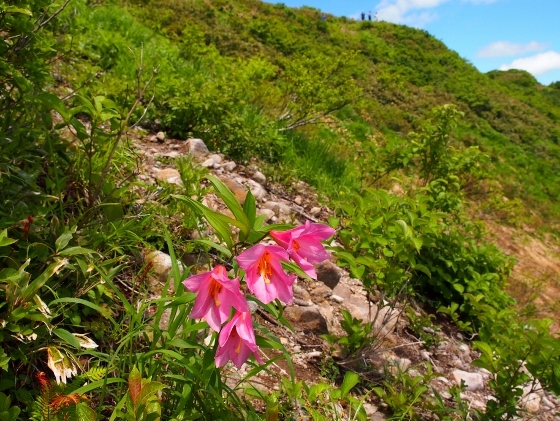 Photo above shows a view on the hill with many wild Himesayuri flowers blooming here and there. 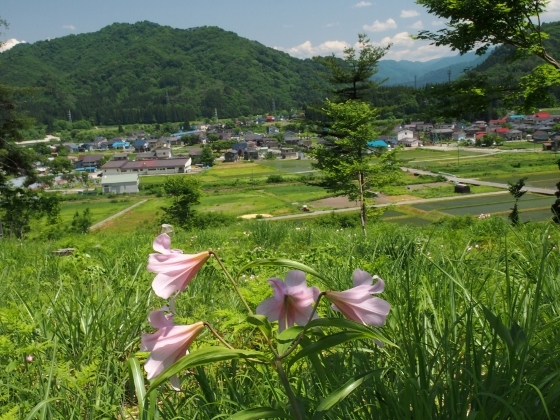 Photo above shows opposite side view overlooking the town of Tadami. 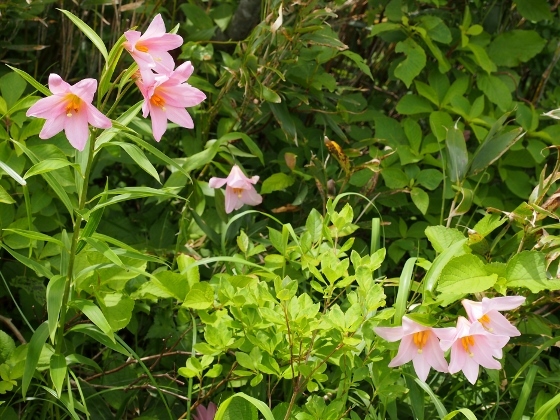 Another close-up view of the multiple flowers is shown above. 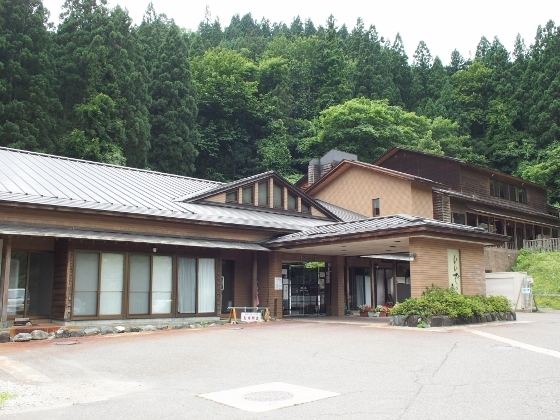 Then I stopped at Furusatokan Tagokura as shown above, which was a small museum of collection of history documents, photos, and old living tools focused on former Tagokura village. 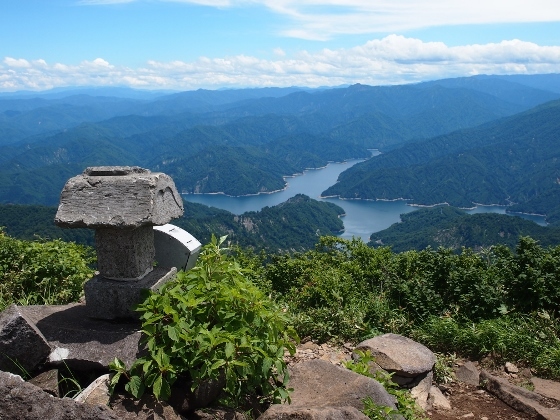 The 290-people village sank in the bottom of Tagokura Dam in 1959 for building a hydroelectric power station. 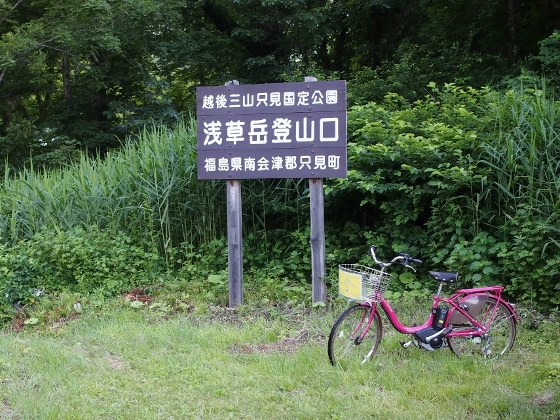 It was a good and compact museum with in-depth explanation by a curator. 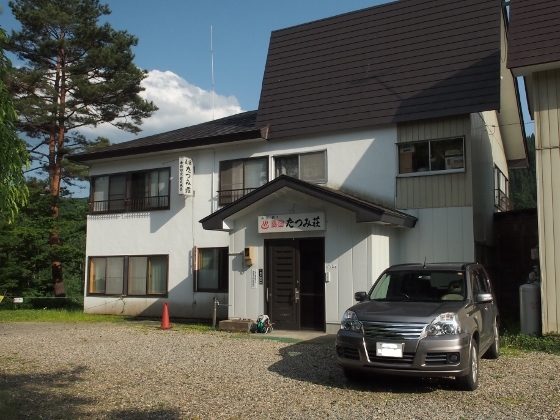 The location is 5-minute from JR Tadami Station. 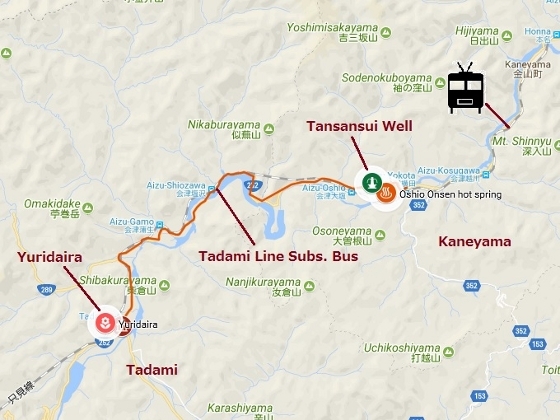 In the afternoon, I moved to Aizuyokota Station of JR Tadami Line, actually by substitute JR bus service because the train in this part was still suspended. 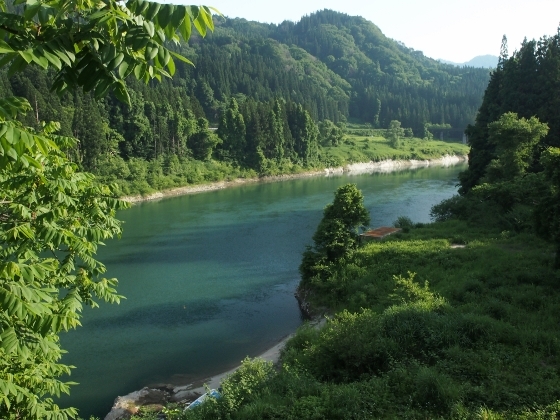 From the station, I walked for a while enjoying beautiful Tadami River view along the way like shown above. 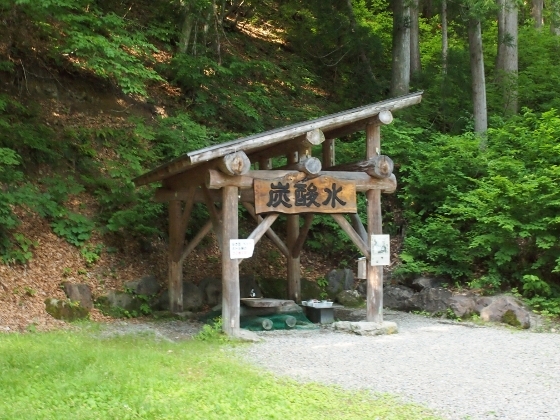 My destination was Tansansui Well or a rare kind of natural carbonated water well in Kaneyama Town as shown above. 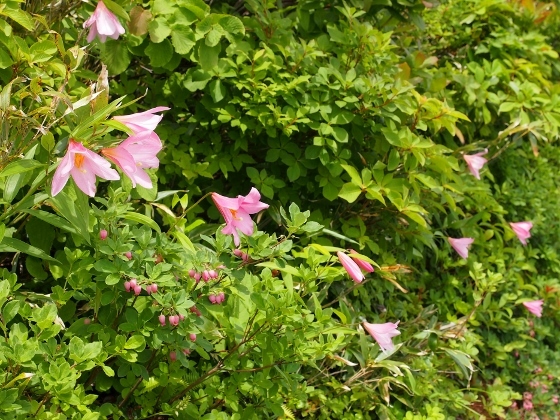 It was about 15-minute walk from Aizuyokota Station. 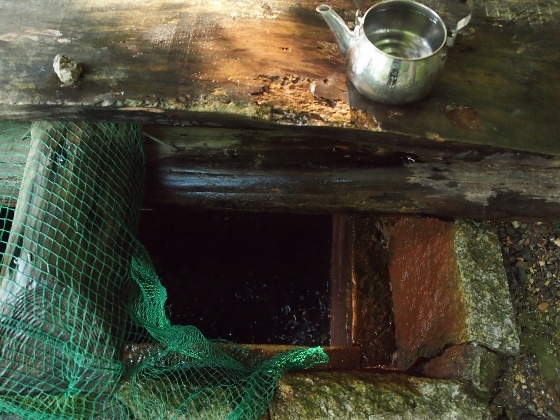 Photo above shows a close-up view inside the well. 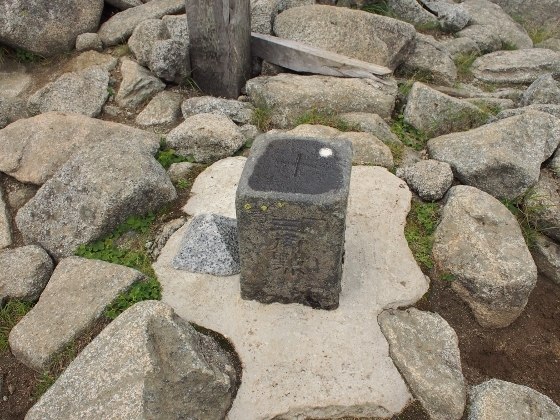 You can see bubbles coming up on the surface of the well water, which means it is carbonated. 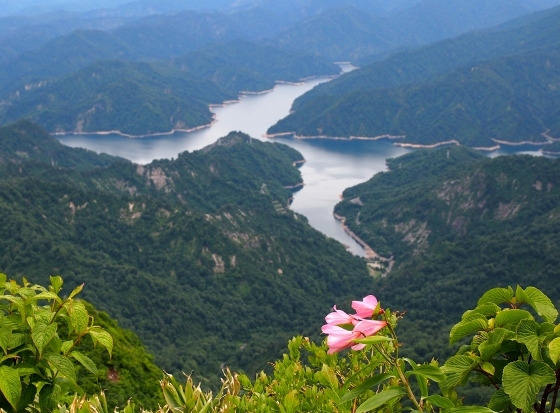 Anybody can draw the water using the kettle and taste it. 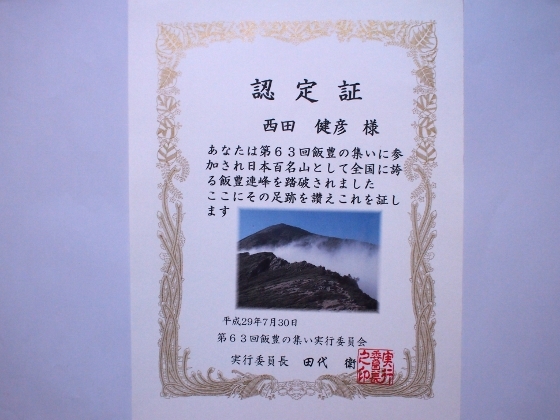 It was cool, excellent and refreshing. 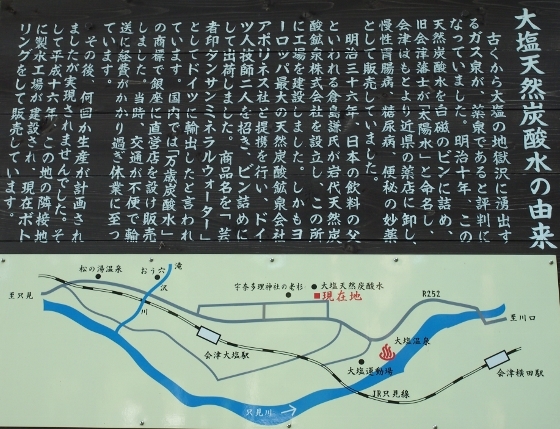 A brief description board on the site as shown above explained a long history of the well. 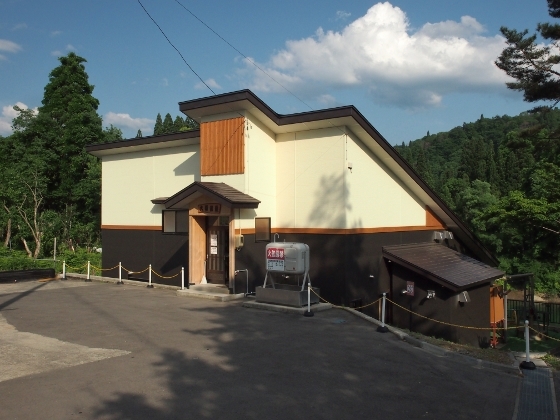 Then my last destination today was Oshio Onsen hot spring which was about 10-minute walk from the Tansansui well. 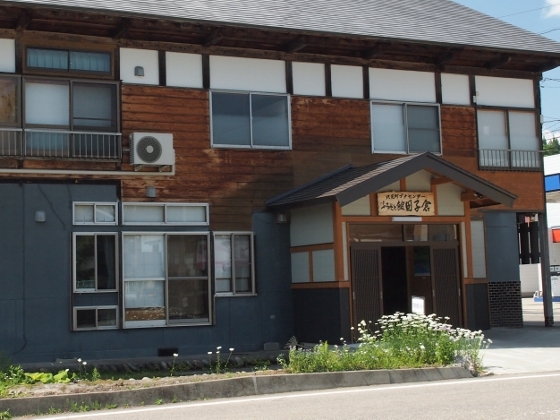 The public bus house is shown above. 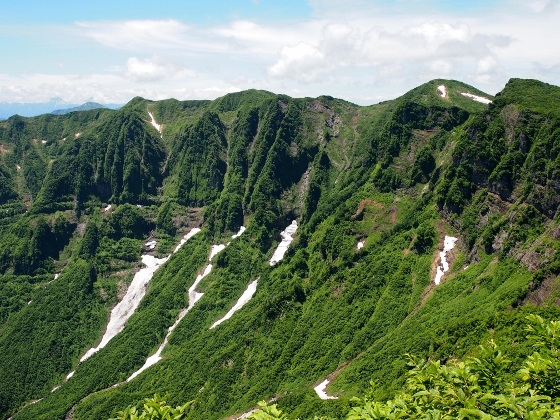 The carbonated chloride spring water welled up naturally with the temperature of 38.3 degrees Celsius. 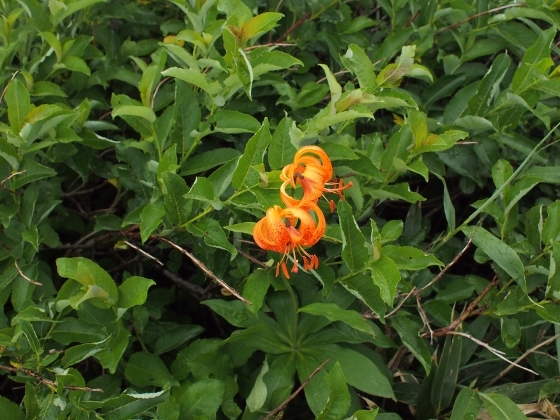 The color was reddish blown and was said to be good for healing cuts and back pain among other things. 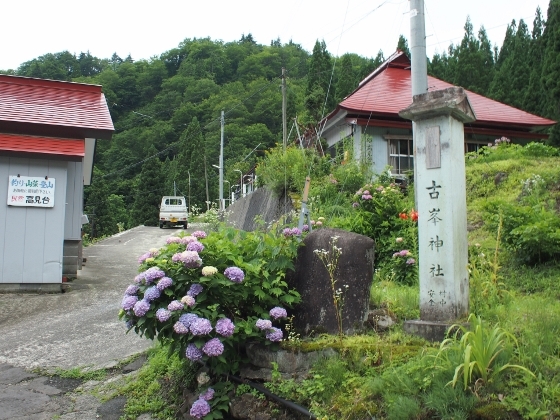 Right next to the public bus, there stood a Minshuku or a private inn named Tatsumiso as shown above. 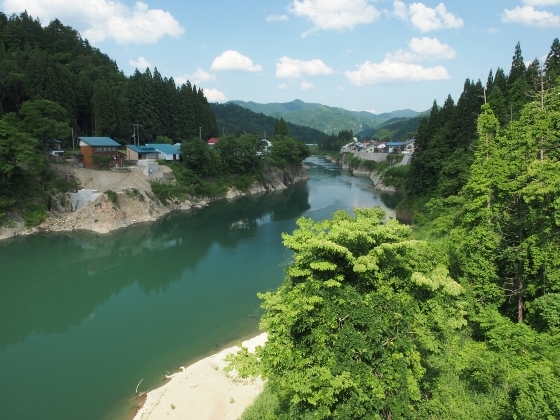 The back of the inn was the Tadami River as seen from the room just like above. 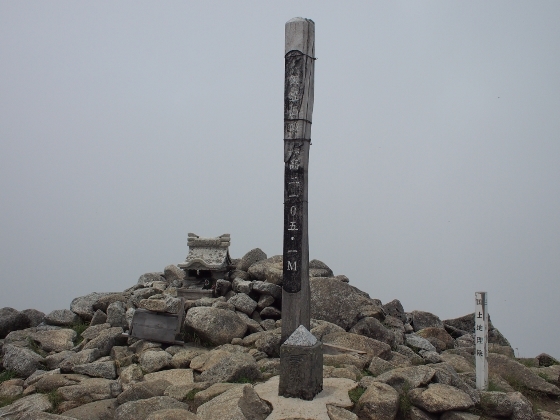 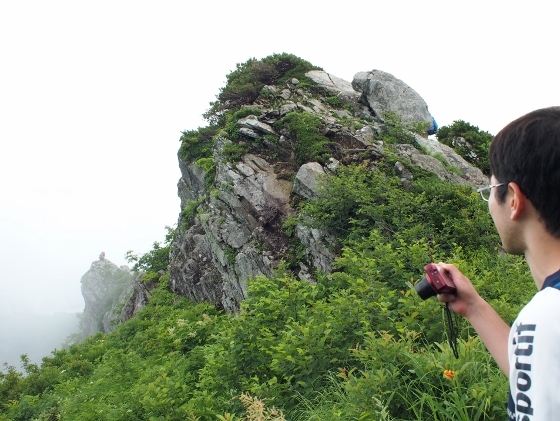 The next day I climbed halfway up Mt. 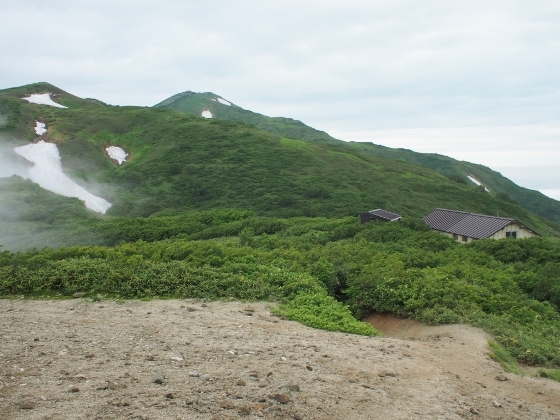 Gamo which was said to have another Himesayuri habitat in the middle of the slope. 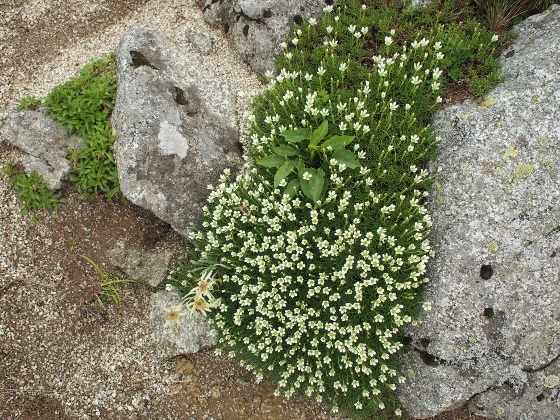 Although I dared to climb the risky and rocky mountain about 500m above sea level, I found that most of Himesayuri flowers were finished. 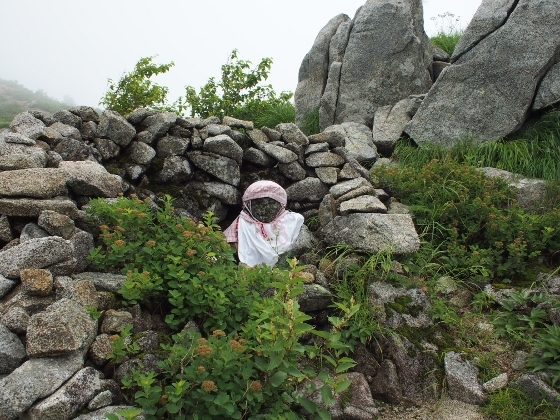 So I decided to return and just took a picture shown above. 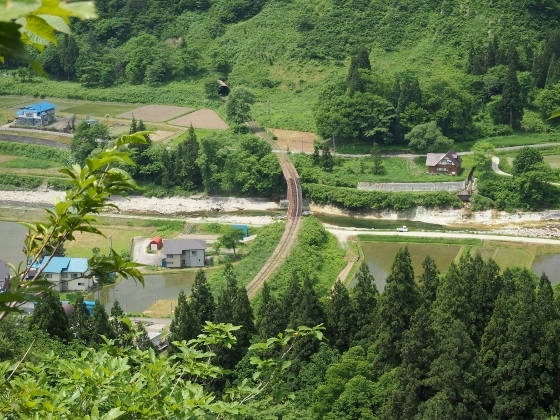 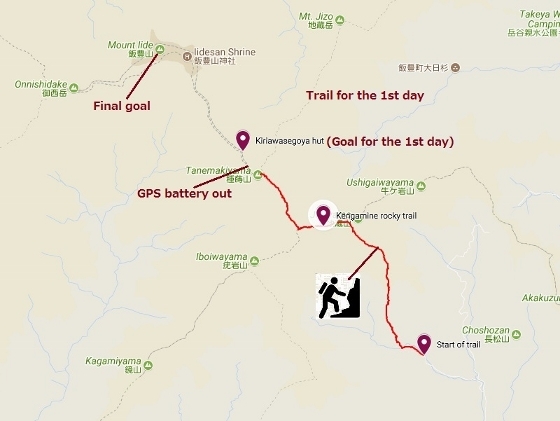 It shows Tadami Line track in the center, which is now still suspended but is scheduled to restart operation by the end of fiscal year 2021.